Before you plant a tree, add a fence, install a swimming pool or dig on your property for any reason, call 811—it’s the law. Contact 811 via phone or web ticket at least two days before your digging project begins. Wait. Don’t start your project until underground utility lines are marked. Lines are typically marked within 48 hours of your call. Immediately report any dents, scratches or other damage to the utility company. The leading cause of serious pipeline incidents is third-party damage, often by a contractor, landscaper, farmer or do-it-yourself enthusiast. Protect yourself, your family, and underground pipelines. Always call 811 at least two days before you dig, plant or build. It’s easy, it’s free, and it’s the law in Texas. 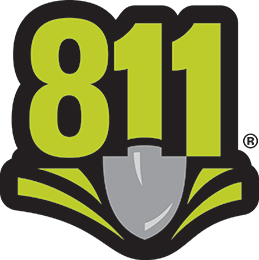 811 is a free, national service created to help protect home and business owners from unintentionally damaging underground utility lines while digging. 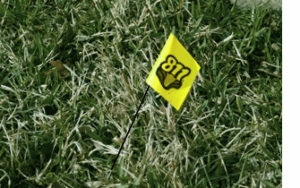 811/One Call coordinates with utility companies to mark the location of underground lines before you dig. Each utility uses a different color to mark their lines with flags or paint. View the color code chart to learn more about marking colors and the utilities they represent. Respect the marks and dig carefully. Talk with the pipeline operator if you have questions about safe digging near pipelines. If you nick, ding or damage a pipeline while digging, call the operator immediately so that they can come inspect and repair any damage to prevent future issues. Review Texas’ One Call Damage Prevention Law.